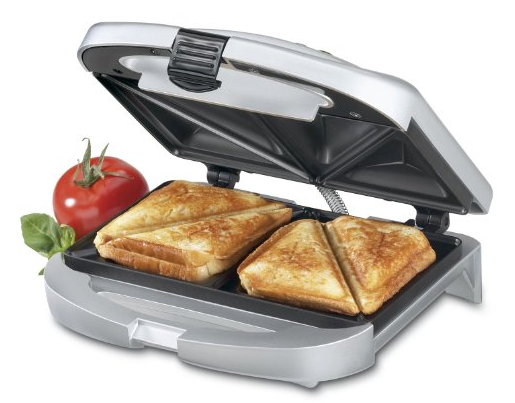 Cuisinart Dual-Sandwich Nonstick Electric Grill For Only $19.95 PLUS FREE Shipping! You are here: Home / Great Deals / Amazon Deals / Cuisinart Dual-Sandwich Nonstick Electric Grill For Only $19.95 PLUS FREE Shipping! Making quick hot sandwiches has never been easier with this machine! Get the Cuisinart Dual-Sandwich Nonstick Electric Grill For Only $19.95 PLUS FREE Shipping!